Latest Writing Sarisafari is just passing through Madhya Pradesh and has visited the two most famous weaving centers in the state. Maheshwari saris have made a great comeback. Read also about the weavers of Chanderi and their gossamer light fabrics experiencing their own renaissance. 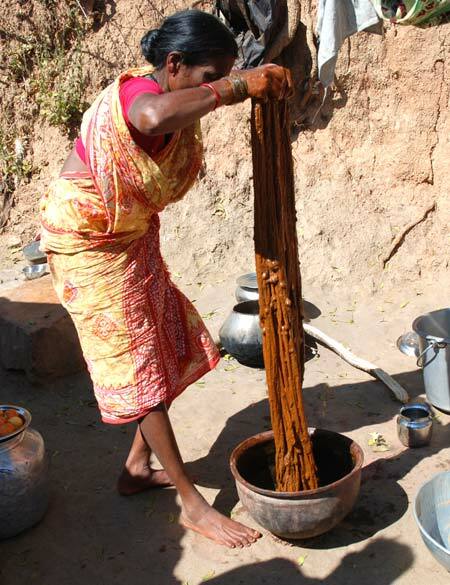 It usually pays to step off the beaten path: Ilkal Sarees are very distinctive and surprisingly unknown outside the region where they are produced. Visit the weavers! 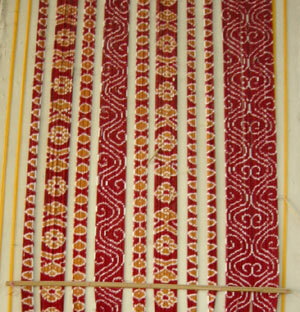 The state of Orissa has a rich weaving heritage and is most famous for the yarn dyed ikats in heavy flannely cotton and lustrous silk or the opulent bomkais with patterned borders and pallus in threadwork ornament. Sarisafari has been travelling around India for the last thirteen years. Each year is a new adventure and the discoveries will be shared. Contact us to receive the travel updates. 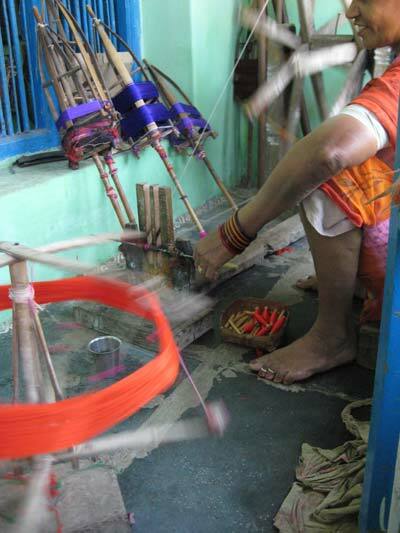 Meanwhile, there are other places to see: Varanasi, City of sumptuous silk sarees, the bustling city of Kolkatta, the weavers of Balarampuram.